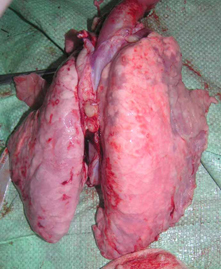 Tong GZ, Zhou YJ, Hao XF, Tian ZJ, An TQ, Qiu HJ; Highly pathogenic porcine reproductive and respiratory syndrome, China. Emerg Infect Dis. 2007 Sep;13(9):1434-1436. Tian K, Yu X, Zhao T, Feng Y, Cao Z, Wang C, Hu Y, Chen X, Hu D, Tian X, Liu D, Zhang S, Deng X, Ding Y, Yang L, Zhang Y, Xiao H, Qiao M, Wang B, Hou L, Wang X, Yang X, Kang L, Sun M, Jin P, Wang S, Kitamura Y, Yan J, Gao GF. 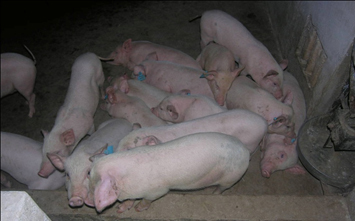 ; Emergence of fatal PRRSV variants: unparalleled outbreaks of atypical PRRS in China and molecular dissection of the unique hallmark. PLoS One. 2007 Jun 13;2(6):e526. 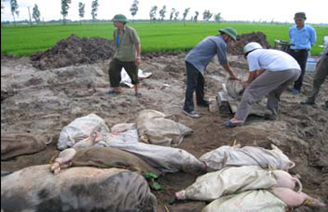 Youjun Feng, Tiezhu Zhao, Tung Nguyen, Ken Inui, Ying Ma, Thi Hoa Nguyen, Van Cam Nguyen, Di Liu, Quang Anh Bui, Long Thanh To, Chuanbin Wang, Kegong Tian, and George F. Gao, Porcine Respiratory and Reproductive Syndrome Virus Variants, Vietnam and China, 2007. Emerg Infect Dis. 2008 November; 14(11): 1774-1776. Longtao Y., Review of PRRS in China, Proceedings of the 4th congress of Asian Pig Veterinary Society, p72. Chen NH, Chen XZ, Hu DM, Yu XL, Wang LL, Han W, Wu JJ, Cao Z, Wang CB, Zhang Q, Wang BY, Tian KG. Rapid differential detection of classical and highly pathogenic North American Porcine Reproductive and Respiratory Syndrome virus in China by a duplex real-time RT-PCR. J Virol Methods. 2009;161(2):192-198. Wu J, Li J, Tian F, Ren S, Yu M, Chen J, Lan Z, Zhang X, Yoo D, Wang J. 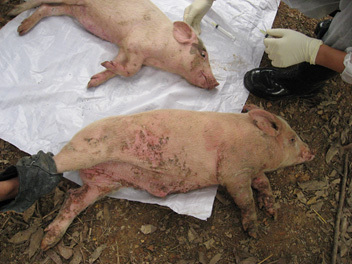 Genetic variation and pathogenicity of highly virulent porcine reproductive and respiratory syndrome virus emerging in China. Arch Virol. 2009;154(10):1589-1597. Hu H, Li X, Zhang Z, Shuai J, Chen N, Liu G, Fang W. Porcine reproductive and respiratory syndrome viruses predominant in southeastern China from 2004 to 2007 were from a common source and underwent further divergence. Arch Virol. 2009;154(3):391-398. Feng Y, Zhao T, Nguyen T, Inui K, Ma Y, Nguyen TH, Nguyen VC, Liu D, Bui QA, To LT, Wang C, Tian K, Gao GF. 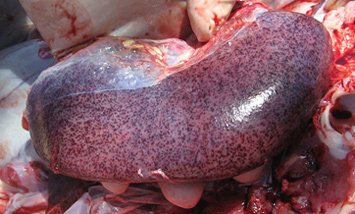 Porcine respiratory and reproductive syndrome virus variants, Vietnam and China, 2007. Emerg Infect Dis. 2008;14(11):1774-1776. Xiao XL, Wu H, Yu YG, Cheng BZ, Yang XQ, Chen G, Liu DM, Li XF. Rapid detection of a highly virulent Chinese-type isolate of Porcine Reproductive and Respiratory Syndrome Virus by real-time reverse transcriptase PCR. J Virol Methods. 2008 Apr;149(1):49-55.